Partner, Véronique leads the Employment Law department and advises her clients in Labor Law and social security issues. Véronique is a Partner and heads the Legal department including Business Law and Employment law. She started her carreer in 1988. She leads a team of twenty lawyers within the Employment Law department. She assists companies and their leaders in all fields of Labor Law and French Social Security issues. She represents them before various jurisdictions and courts. She advises large French groups and international companies on the social aspects of reorganization and restructuration. She gained a valued and recognized expertize based on the success of many operations she conducted. Her various assignments are based on information management procedures and consultation of staff representatives along with collective bargaining and redundancy plans. 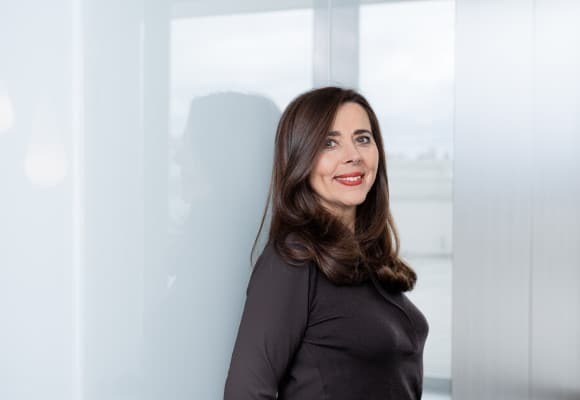 She regularly advises her clients in connection with national or cross-border acquisitions or disposals.